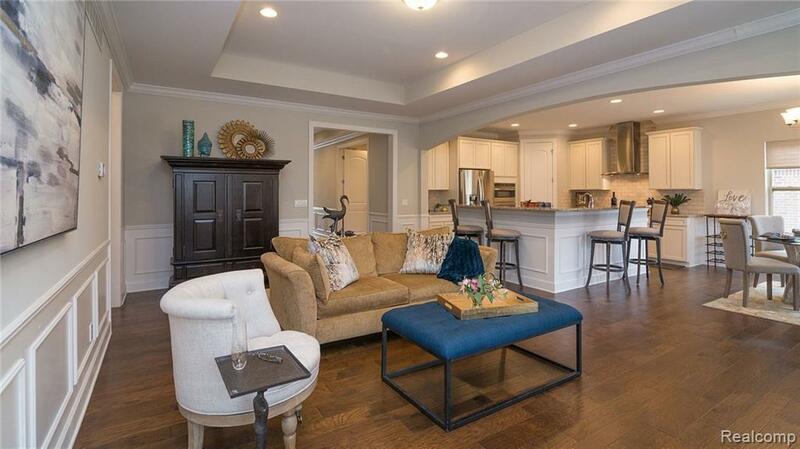 OUTSTANDING 2018 CONDO IN WEST BLOOMFIELD'S NEWEST LUXURY CONDO COMMUNITY. 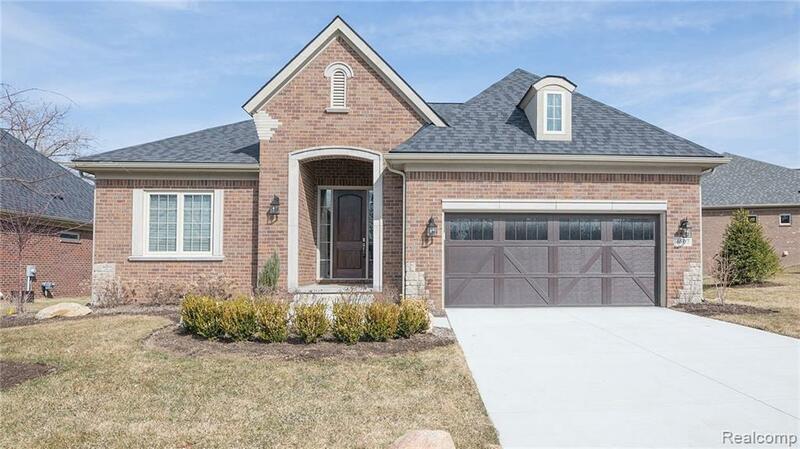 THIS BEAUTIFUL CONDO HOME FEATURES OUTSTANDING CURB APPEAL: PROFESSIONAL LANDSCAPING, FULL BRICK EXTERIOR AND BACK DECK. INSIDE YOU WILL FIND CUSTOM CROWN MOLDING, WAINSCOTTING & WIDE PLANK HARDWOOD FLOORS THAT LEAD THROUGH TO AN OUTSTANDING OPEN FLOOR PLAN! THE GREAT ROOM FEATURES A COZY GAS FIREPLACE AND TRAY CEILING. 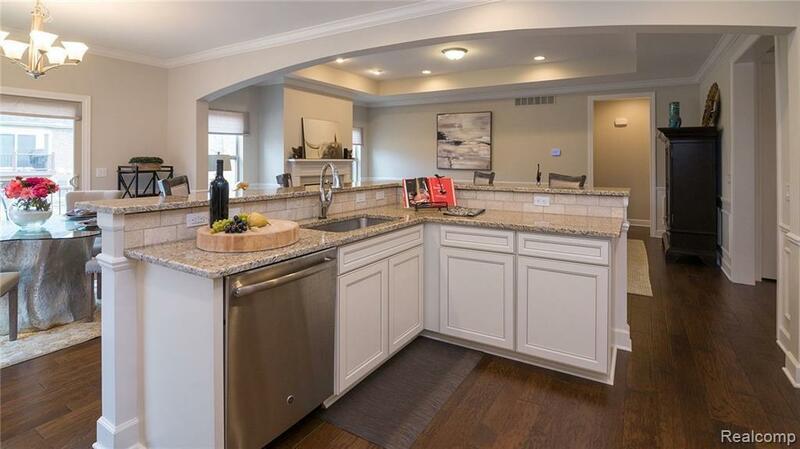 THE KITCHEN PROVIDES AN OVERSIZED ISLAND WITH BAR SEATING LOOKING INTO THE GREATROOM AND DINING AREA. TALL CABINETS, GRANITE COUNTER TOPS, WALK IN PANTRY, STAINLESS STEEL APPLIANCES & DINING AREA WITH DOORWALL TO THE BACK DECK. THE DEN/OFFICE COULD EASILY BE TURNED INTO ANOTHER BEDROOM. 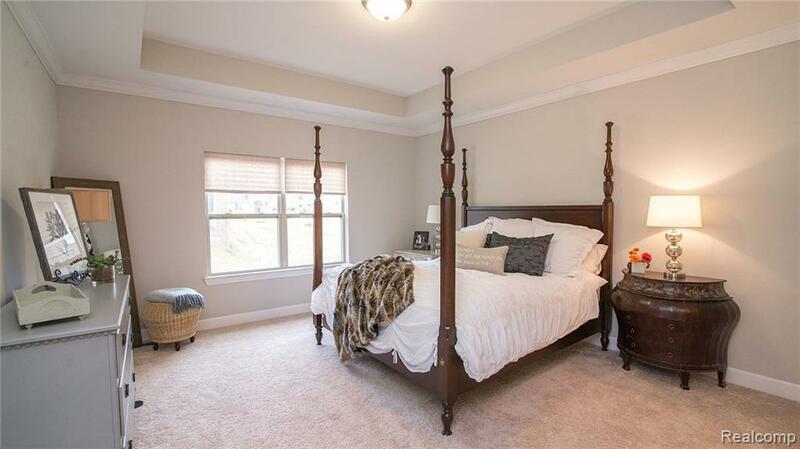 THE MASTER SUITE BOASTS TRAY CEILING AND ATTACHED BATH WITH DUAL SINKS, WALK IN SHOWER & LARGE WALK IN CLOSET. A SECOND BEDROOM AND FULL BATH FINISH OFF THE ENTRY LEVEL. THE DAYLIGHT BASEMENT IS FULLY FINISHED PROVIDING A FULL BATH, WINE CELLER AND PLENTY OF SPACE FOR AN ADDITIONAL BEDROOM.